The OLT project consisted in the conversion of an existing LNG carrier (“Golar Frost”) into a floating regasification terminal, which transforms the liquefied natural gas (LNG) back to its normal gaseous state. The project started in 2002 and it underwent a long and complex permitting process, which implied a significant extension of the project’s realization timeframe. The connection pipeline was constructed and is currently managed by Snam Rete Gas. The works started in December 2009 and ended in August 2012. The Terminal was realized by Saipem S.p.A. The works, started in Dubai in June 2009 at the shipyard Drydocks World Dubai, ended in June 2013, when the Terminal sailed away to reach the Italian coasts. “FSRU Toscana” arrived in Livorno on July 30th 2013. Meanwhile, the mooring system which anchors the Terminal to the seabed (120 meters depth) was completed – through 6 anchors installed in situ – and the connection to the undersea pipeline for the onshore transport of regasified gas was concluded. At the beginning of September 2013, the commissioning period started with LNG on board the Terminal. The certification authority RINA validated the correct conclusion of these operations. The commissioning phase of the plant was successfully finalized on December 19th 2013. 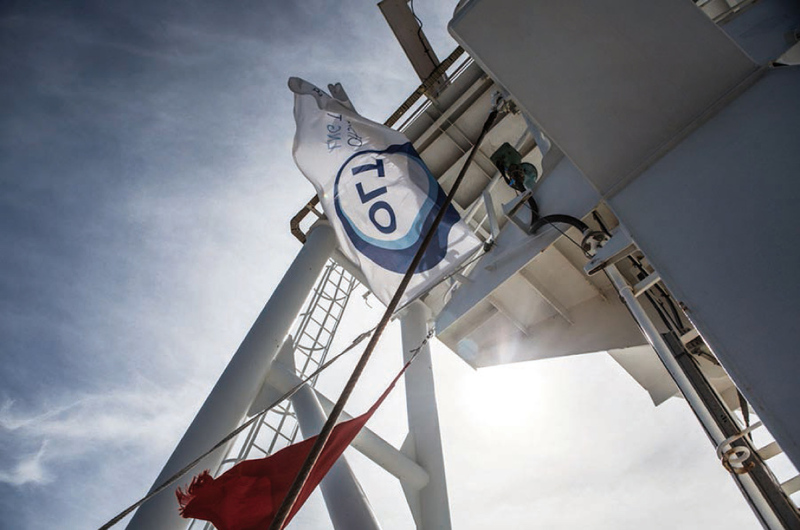 As a result, on December 20th 2013, OLT Offshore LNG Toscana started its commercial activities. Following the positive results of the commissioning by the Interministerial Committee as per art. 48 RCN, the Ministry of Infrastructures and Transports issued the final Commissioning Authorization for the operations of the Terminal on March 17th 2015. From an engineering point of view, the FSRU – the first floating LNG terminal in the world permanently moored offshore – represents a case of excellence in the LNG field, for the structure, the design and the long and complex authorization process and for the certifications obtained in terms of safety and environment. With the aim to improve the Terminal’s flexibility, on May 2015 OLT requested the competent Authorities the possibility to receive LNG ships belonging to the “New Panamax” class, which represent the new standard of the carriers under construction and therefore will cover around 90% of the future LNG carriers available on the market. The Ministry of Environment issued the Decree prot. 0398 on November 9, 2015 by which he authorized the increase of the capacity limit of carriers that can approach the terminal up to 180,000 m3, keeping unchanged the maximum authorized annual regasification capacity of 3.75 billion Sm3 of natural gas. On 14th April 2016 the Harbour Master of Livorno issued the authorization for mooring to the Terminal of all the carriers belonging to the “New Panamax” class, with capacity limits authorized by the Ministry of Environment with the abovementioned provision prot. 0398 of 9/11/2015. Moreover, this would allow to receive in the coming years the LNG carriers from the new liquefaction terminals currently under construction / project in the United States. Eventually, the expansion project of the Panama Canal, ended in the summer of 2016, allows the transit of LNG carriers with this size and represents the new mandatory route that will connect the Atlantic with the Pacific basin, making possible connections that at present are not economically feasible.